As soon as one starts driving a car on a regular basis, he or she will realise that eventually there’s a need for a reliable mechanic. And finding a reliable car repair service is not as easy as it seems. 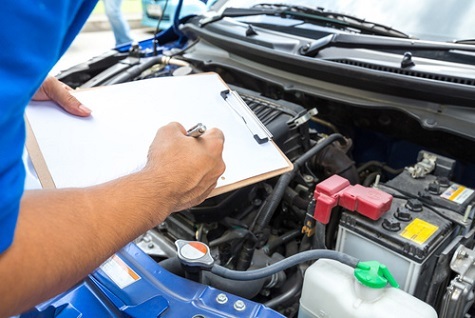 There always seems to be plenty of businesses available, but there’s also plenty of stories about how someone’s car seems to run worse afterwards or the problem was never identified after four or five visits and charges. The first step, of course, is prevention. Every car owner, even when one has the most perfect mechanic available, should still be practicing preventative maintenance. It’s the number one way to keep car costs down. This includes frequent oil and fluid changes and monitoring, changing light bulbs out immediately when in disrepair, seasonal changes of the wiper blades and looking for any serious issues around the car. Catching small problems early versus ignoring them consistently reducing car repair costs year after year. However, eventually, professional car repair is needed. The second step in prevention is regular professional examinations by a trained mechanic. Cars and trucks are, ultimately, machines assembled by parts. And those parts, while designed to last a long time, will break down. In many cases, some car parts known as consumables are designed to break down faster to protect the more critical parts. A good mechanic will look for this kind of wear and try to keep a customer’s car on a schedule so that the consumables are replaced timely, avoiding more expensive repairs down the line. Eventually, as a car gets older, serious repair may be needed. A well-maintained car should only have the occasional odd issue unless it is being used in serious heavy driving or off-road country driving, taking a proverbial beating. Consumers are often afraid of bringing their car in when something serious begins to happen because 1) they have no idea what’s going wrong, and 2) there’s a fear of being taking for a financial ride with unknowns. A good mechanic won’t treat a customer that way. After all, car repair shops are local businesses and depend on local customers to keep in operation. So reputable shops will protect their customers’ interests to maintain a long-term relationship. Brisbane’s United Car Care is a family owned car repair service that has been helping car owners for the last 33 years. Located in Coorparoo, United Car Care has always put their customers first, which is why the company has been established for so long. Including services for brake and clutch systems, trailer repairs, and electrical or A/C needs, their multi-service repair capability sees all types of vehicles, big and small. United takes professionalism seriously in its car service Brisbane operations. Five qualified mechanics are involved in repairs at all times, and their combined experience equals two centuries worth of time and work spent on car maintenance and repair. That puts United leagues ahead of many other shops that may make big promises but provide less than stellar service to cut corners. And all of United Car Care’s parts and service are covered by warranties and their workmanship in every effort. So, when you’re looking for a car repair Brisbane service or it’s time for a maintenance check, consider United Car Care for your next visit. They will never promise to be the rock bottom cheapest because often times low discount means bad service. They will be honest, fair and give you the best service and safety for your car and budget with all the options available.